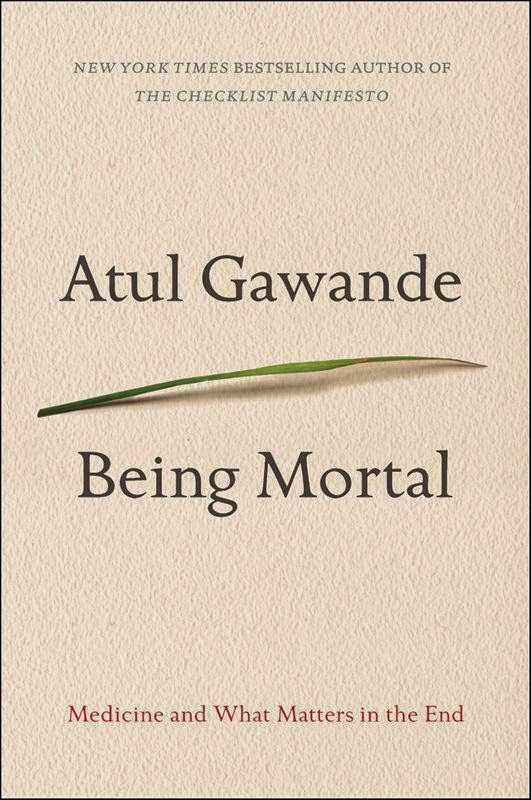 "Being Mortal" is a book by surgeon Atul Gawande about the modern experience of mortality. Triggered by the death of his father and enriched with his vast medical experience, he reminds us that the role of medicine is not primarily to ensure health and survival, but to enable well-being and serve the larger aims of a person's life. In today's world, old age is not uncommon, but it's a quite recent phenomenon. In traditional societies, a person's status rose with age: sustained by their families, the elderly were at the center of attention and had the freedom to live a life that was true to themselves and allowed them to make their own choices until the end. Nowadays people are getting decades older than in previous centuries, and people have fewer children. Due to this demographic shift, old people have to live more independently for a long period of time - but at some stage independence becomes impossible. The question is how we, as a society, want to treat people in this situation? How do we want to be treated at this stage? "Old age is not a battle - it's a massacre"
Atul Gawande goes on to describe aging from a systemic perspective - he sees the human body as a complex system, the heart, brain, limbs, everything is connected. As parts of that system tend to fail, evolution has equipped humans with backup components, like an extra lung or kidney. With old age, all parts are inevitably worn down, and at some point, a critical amount of parts starts to fail, and when no more backup components are available, and the whole system becomes frail. There's nothing you can do about it - we more or less fall apart. The question at that stage should not be about how long you can be kept alive, but how to make life worth living when you can't fend for yourself anymore. Gawande describes the rise of "assisted living", a new kind of retirement home, where small groups of people live autonomously, with nuanced support of medical staff. This way of living gives them privacy and allows them to have their own rhythm. They can sustain their connections and in general have the freedom to make decisions - even unhealthy ones (still, inhabitants of assisted living facilities live longer). In traditional, tightly regulated retirement homes people are no longer the authors of their own lives. They experience their isolation as terror, as they cannot find closure - only in the context of something greater, like family or community, a person can find that death is not the end, but part of the circle of life. Still, at some stage, even assisted living might no longer be an option, as death is certain, the only question is when it will happen. Even when people are terminally ill, medicine can keep them alive for months or even years - when is the right time to stop fighting death? With this knowledge, doctors can make suggestions based on a person's well-being, and not on x-ray pictures alone. When death is just a matter of weeks away, Gawande suggests that hospices are often the best option. There people can die with more dignity, and can find closure. He also favours hospices over assisted suicide, as it is practiced in countries like the Netherlands. He says that it should not be about a good death, but a good life - until the end. But ultimately, death is not controllable. We need to face the reality of mortality and have the courage to act on these truths. Your life is only meaningful because it tells a story - and in stories, endings matter.